• These Irons are constructed with Grain Flow Forged 1025 Boron, which is stronger material than carbon steel for added distance, yet delivers a soft, yet solid feel. • Micro Slot Technology in the 3-iron thought the 6-iron. This is done by milling the head from the sole up, this Micro-slot expands the rebound area across the entire face for added distance. 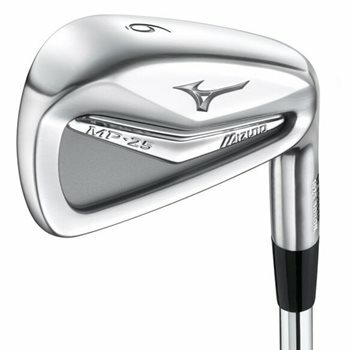 • The 7-iron thought the pitching wedge feature a solid 1025 Boron Muscle Design for greater shot making.